90 years of viticulture are reflected in the quality of our wines. 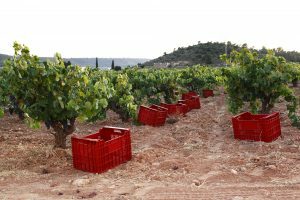 Red wines of quality and singular personality in which, under the Utiel-Requena Denomination of Origin, the care with which the vineyards are cultivated is reflected. 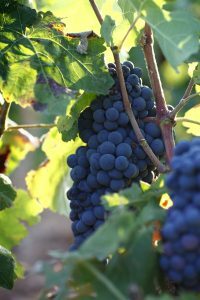 Most of our vineyards are dedicated to the Bobal variety but we also grow the Pinot Noir variety. 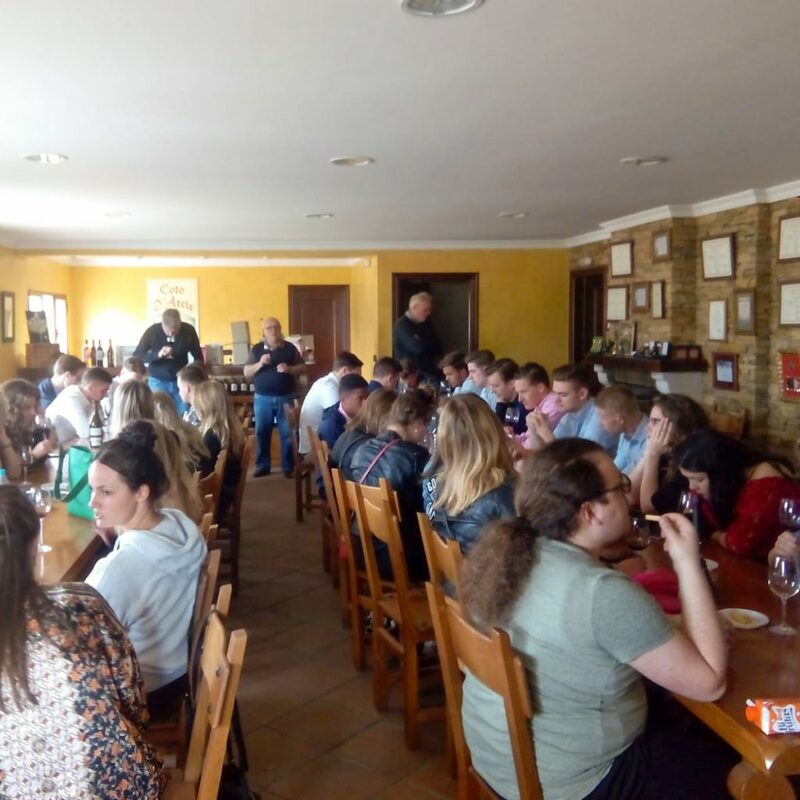 That there are people who want to visit our winery with full of pride, especially if they visit them come from another country such as Holland, since that means that our work is valued to a great extent. 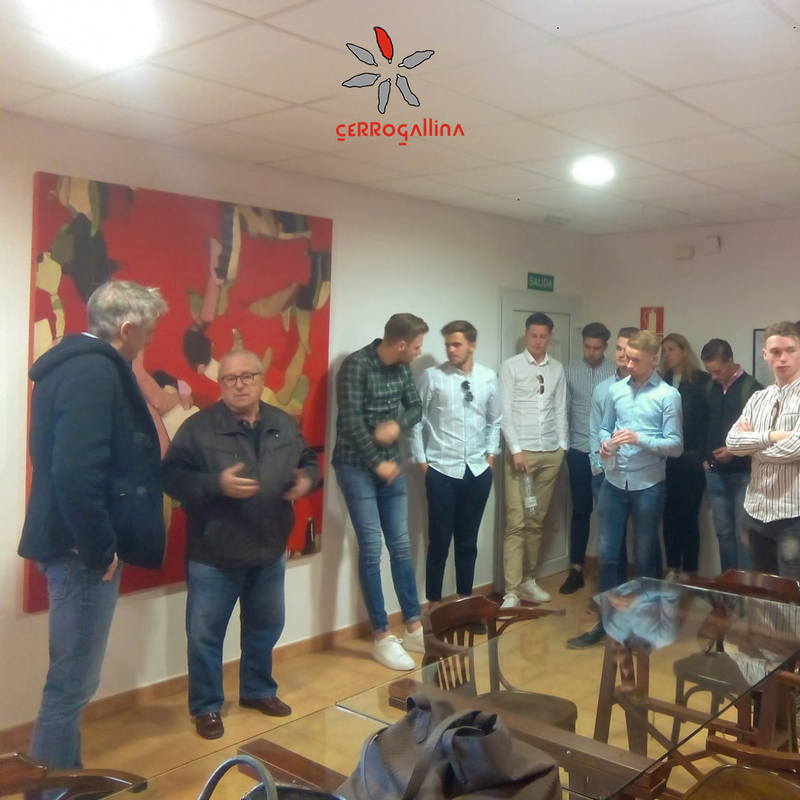 Today we want to share the photos of the recent visit of a group of university students of the business career of Holland. They came to know our winery and the production process of our wines. During their visit we also made a commented tasting of them. Thank you so much for the visit! It was a pleasure to talk about viticulture and oenology. We wish you good luck in your future business projects. If you want to visit our winery, contact us at 676 897 251 or info@cerrogallina.com. 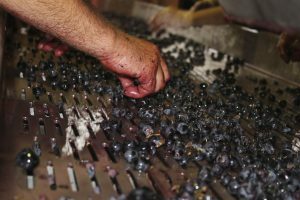 It’s time to harvest in CerroGallina! The grapes of our vineyadrs reached their optimum point of maturation, quality of the grain and properties after a meticulous and exhaustive cultivation and therefore, the long-awaited vintage arrived with raw material of small production to obtain an exclusive final product. 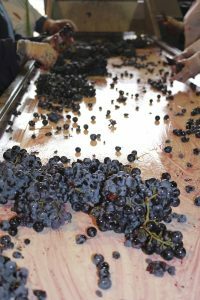 In Bodega CerroGallina we carry out the harvest in a completely manual way and in boxes of 20 kg. The clusters are taken to the winery quickly, where we select manually and meticulously, the bunches and also, the grains combining the tradition with the highest technology. 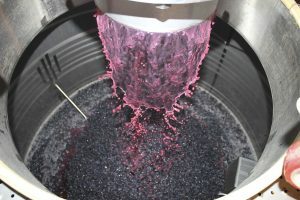 Then we fill the tanks by gravity, which have a conical shape and a capacity of 5,000 liters, which allows to control at all times the process of maceration and fermentation. 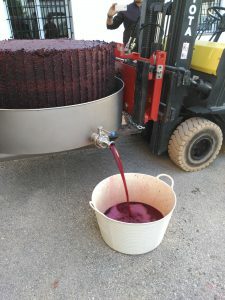 After this step, the pressing of the grapes would arrive. And wait for the final results of our Bobal and Pinot Noir! 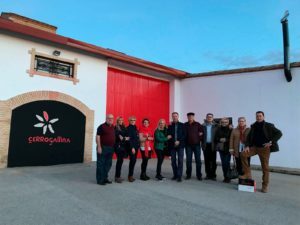 During the month of September, Bodegas CerroGallina had the pleasure of of being interviewed by À Punt, in the PROAVA vinery together Clos d’Esgarracordes vinery and Bodegas Xaló. 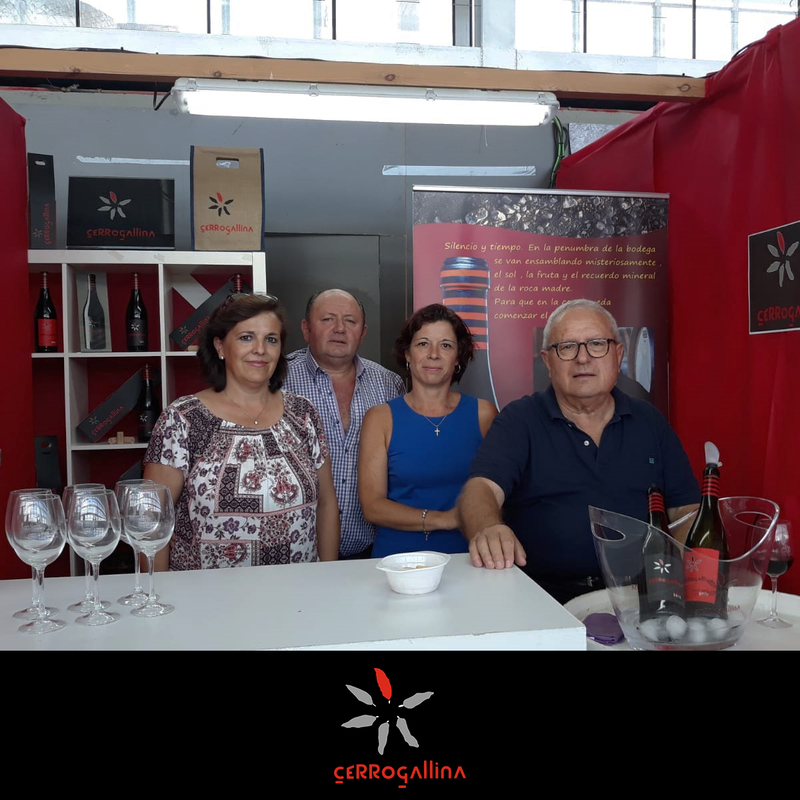 The interview was issued on September 5 in the À Punt Directe space, where Carolina Ferre and Hèctor Molina had an interesting talk about the wines of our territory. 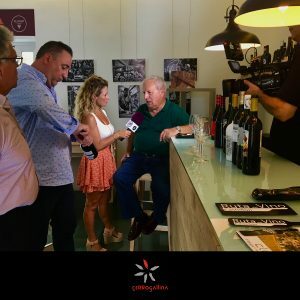 During the interview in PROAVA, Santiago Vernia representing our wineries, speaks about the culture of the territory of the Valencian Community and above all, the importance of our own recognizing the wines of our land, so wonderful and exquisite. We emphasise our Bobal and Pinot Noir, freestyle reds but with magnificent qualities granted by the different grape varieties. If you missed the program and want to learn much more about Valencian wines, you can watch the interview HERE. 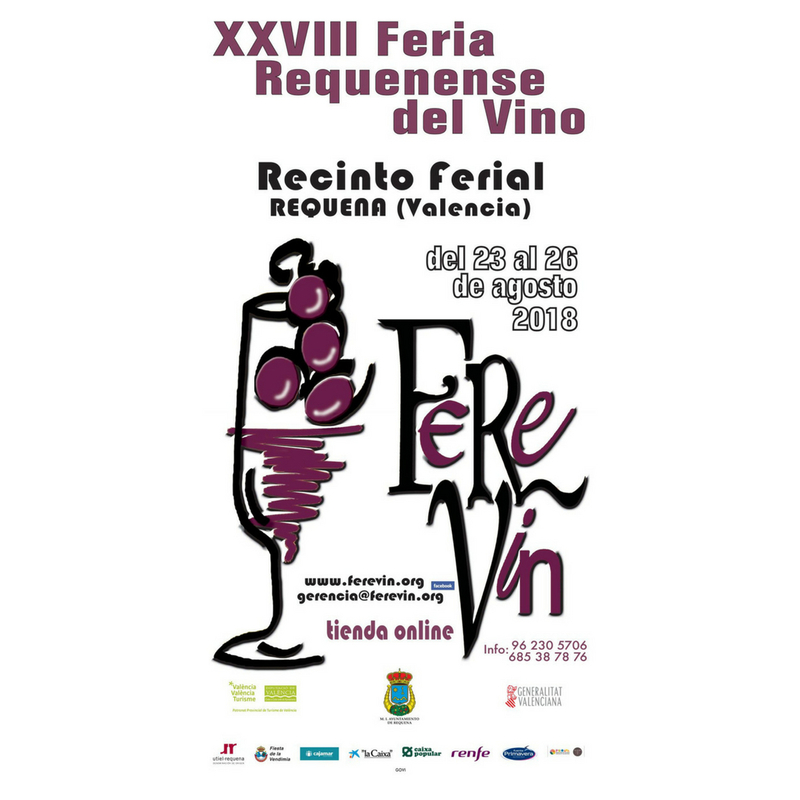 Last Sunday, August 26, was the closing ceremony of the XXVIII edition of FereVin, the wine fair of Requena, it began on August 23. We already told you that Bodegas CerroGallina did not want to miss this great annual event that is better year after year. The arrival of this event is a preamble to the harvest of the wonderful fruit of our vineyards. 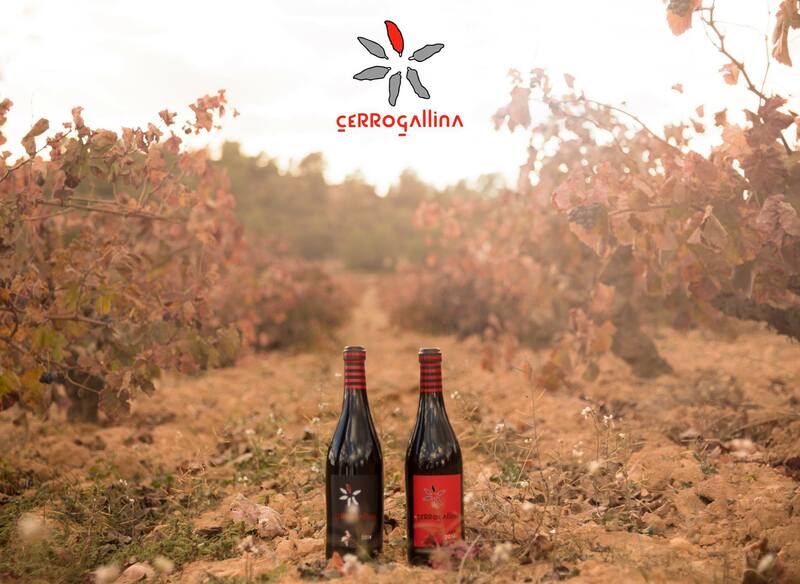 CerroGallina were presents along with several other wineries, showing and valuing our Cerrogallina Bobal and Cerrogallina Pinot Noir, products that the Utiel-Requena Denomination of Origin collects under its name. During this edition assisted approximately 17.000 visitors, showing more interest in the wine and its characteristics, which means that the wine is getting more followers. Thanks a lot to the organization for creating once again this event. And above all, many thanks to the visitors for their questions, their words and for visiting our stand. 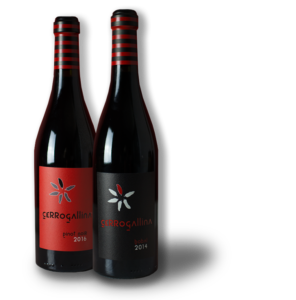 Once again and as it has been a tradition, Bodegas Cerrogallina is present at the requenense fair of wine, FereVin, which collects the best wines from the Valencian Community. The XXVIII edition of this great event that was inaugurated last Thursday, 23rd August, will keep its doors open until next 26th Sunday. After a pre-tasting that PROAVA organized to liven up the wait, we really wanted to attend this great event. And the arrival of FereVin is a preamble to the harvest, the harvest of the wonderful fruit that our land gives us. Cerrogallina together with several other requenenses, we show and value these products that the Utiel-Requena Denomination of Origin collects under their name. In our case: Cerrogalllina Bobal and Cerrogallina Pinot Noir. 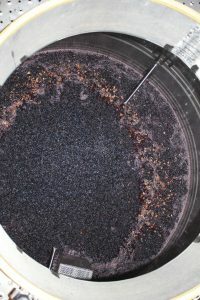 Thank you very much to the organization for such a magnificent wine event and, above all, thanks to all the attendees. We are waiting for you all at our stand so you can taste our preparations! 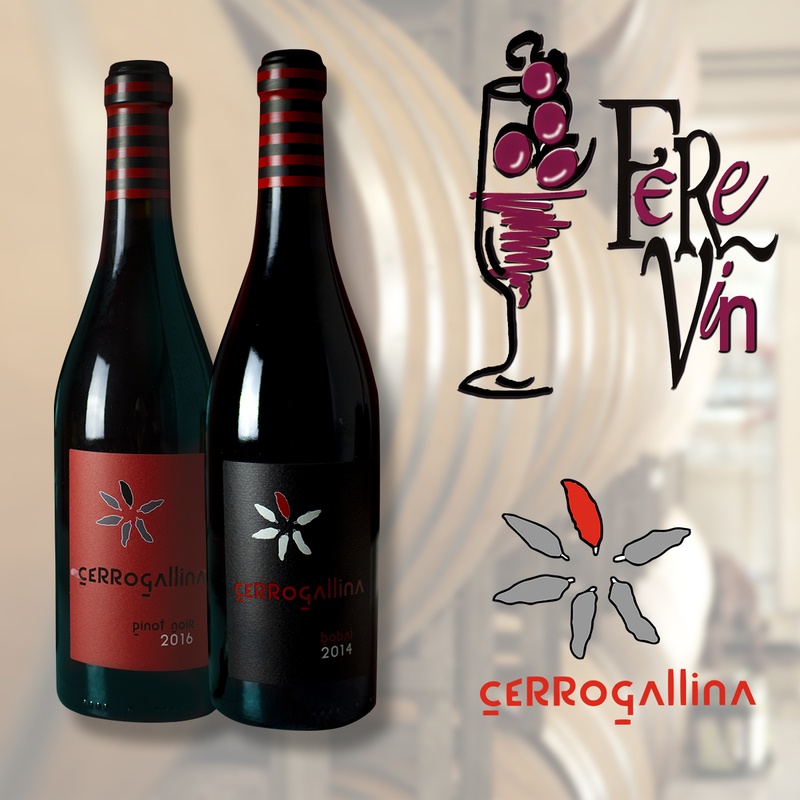 Bodegas CerroGallina will be present during another edition at Ferevin, the requenense wine fair. The XXVIII edition of this important event in the wine world will take place from August 23 to 26, 2018 and to liven up the wait, from PROAVA have decided to collaborate organizing for the first time, a tasting before the long-awaited appointment to meet the Ferevin participants. 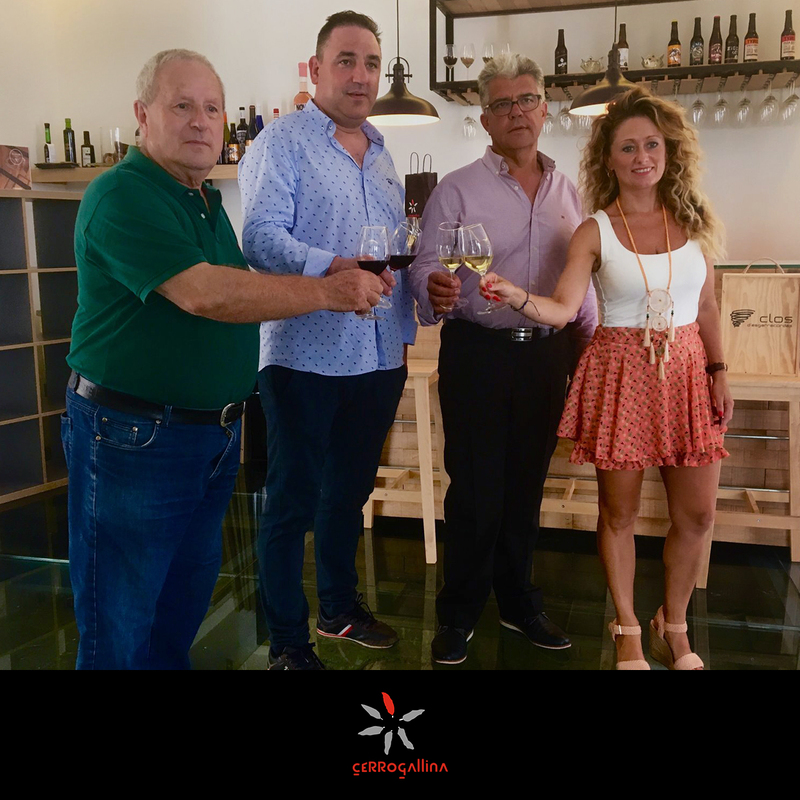 The pre-tasting where Bodegas CerroGallina had the pleasure of attending to represent the Utiel-Requena Denomination of Origin with our Bobal, took place on July 26 in Valencia. Thank you very much for such a nice initiative and above all, thanks to all the attendees. It was a pleasure to talk with you. We are waiting for you all at Ferevin! 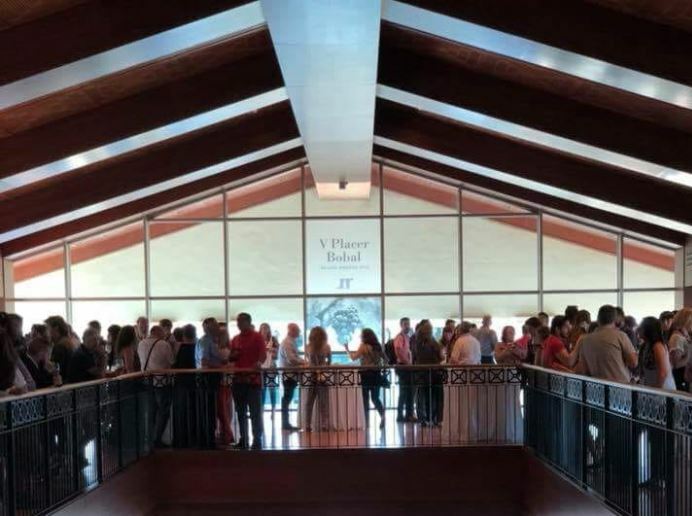 On 18th of June we had the pleasure of asist at V Placer Bobal, an annual showroom at the Hotel Las Arenas in Valencia, where the main protagonist is the native variety of Bobal grape, of differentiating character and under the Utiel-Requena Designation of Origin. 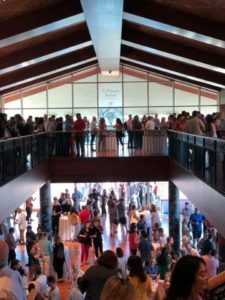 During this importante event, such as the V Placer Bobal, the new wines and vintages from differents wineries are presented, whose identity includes the Utiel-Requena Designation of Origin. 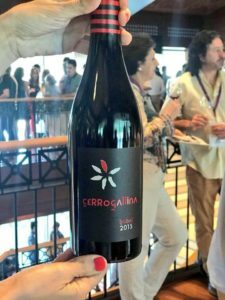 Bodega Cerrogallina choose representing at Bobal grape our Cerrogallina Bobal 2015, which limited production is based on the rich contribution that the land makes. 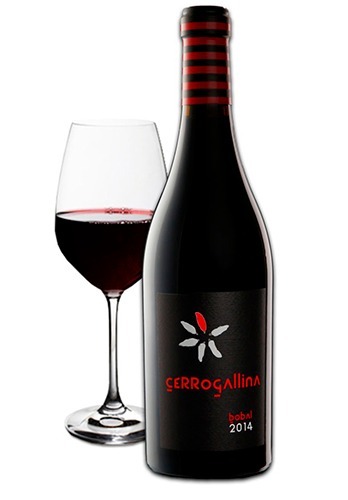 Cerrogallina Bobal 2015 has a very vivid red color and is well covered, letting you perceive the varietal aspects of the land where it is grown. 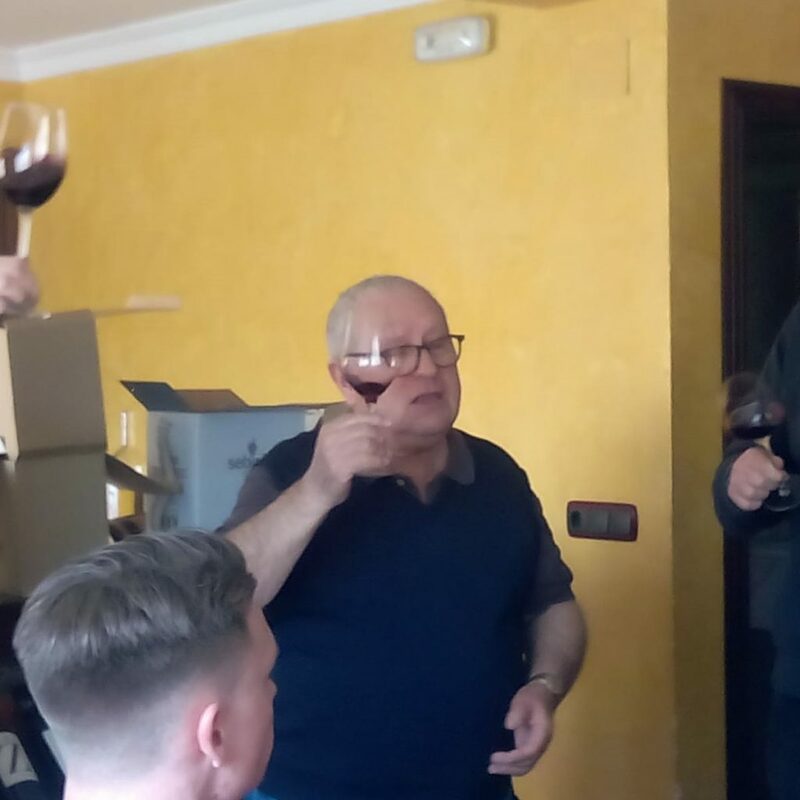 In addition, not only we had the pleasure of present our Cerrogallina Bobal 2015, we aldo brought a very special wine: our Pinot Noir 2016, which is also included at the Utiel-Requena Designation of Origin. Thank you very much to the organization and to all the visitors! Today we have a very great news for you! 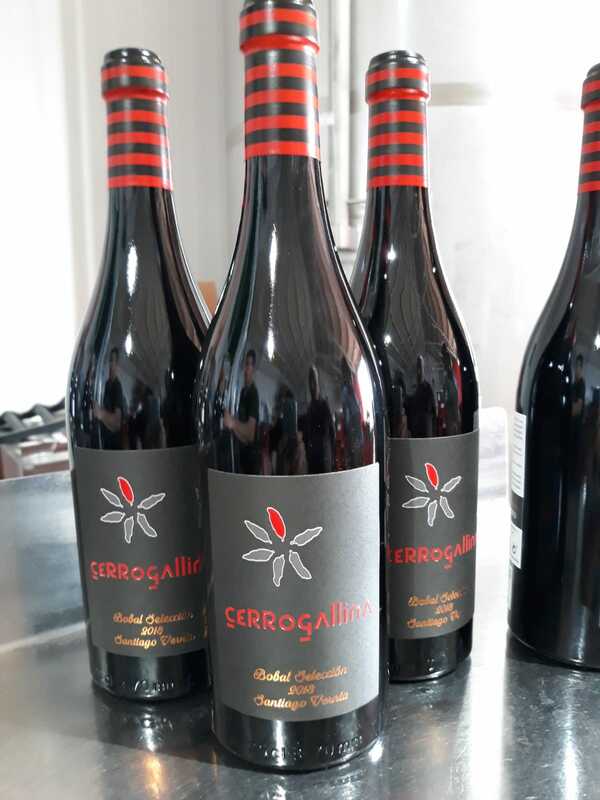 After a long time of commitment and dedication, we can finally say that the first bottles of Bobal Selección 2013 Santiago Vernia are already a reality. It is a new version of our monovarietal red wine made with 100% variety of Bobal of old vines of 90 years. And it is, above all, a special vintage. 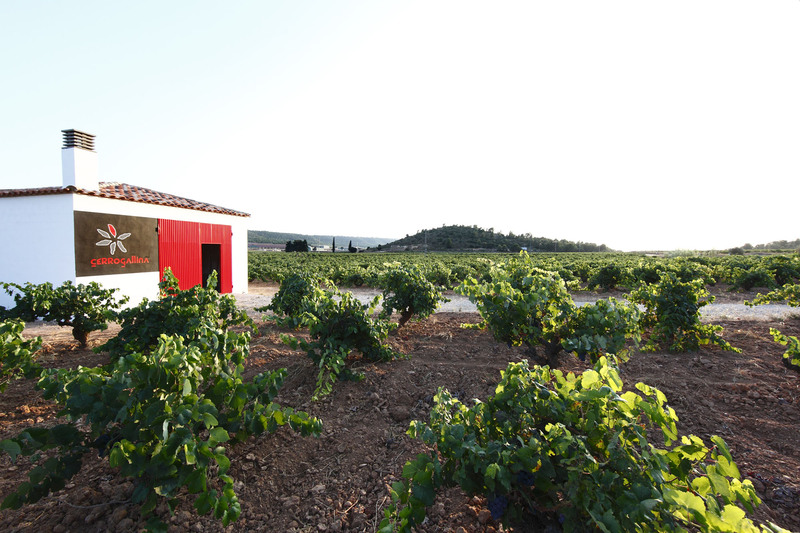 We selected the best grapes of Bobal variety and we kept 3 barrels of the 2013 wine, so its production is very limited. Whats makes this selection so special is that in those 3 barrels, the wine remained 36 months and 30 months bottled. 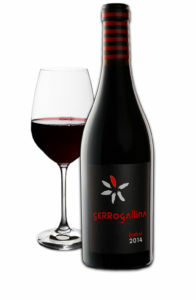 Our Bobal Selección 2013 Santiago Vernia will be on sale very soon through the usual channels. Cerrogallina Bobal will be in the 6th Exclusive Dinner of 8 Chefs 8 Dishes! From CerroGallina winery we are delighted to inform you that our Bobal 2014, has been selected to match the 6th Exclusive Dinner organized by the Gastronomic and Cultural Association 8 Chefs 8 Platos, which will be next thursday, June 28 at La Ópera-Mas dels Frares of Benicàssim. This exclusive dinner takes place in a different location in each edition ans tries to valur the products of the province in which is made. The elaborations of the menu will be paired with a selection of wines from the Valencian Community, and as we have menctioned before, Cerrogallina Bobal 2014 will be one of those wines. The dishes that Bobal 2014 will accompany with all its balance and potential will be prepared by: Modesto Fabregat (Lino Restaurant en el Real Casino Antiguo, Castellón), Fernando Molina (La Cuina de Fernando, Castellón), Javier Simón (Hotel Martín el Humano, Segorbe), Balbina Cano (Casa Rabitas, Nules), Asier Manzanos (El Vasco, Vila-real), Emilio Miralles (Al d’Emilio, Vila-real) and Carlos Gutiérrez (Casa Roque, Morella). They are joined by the Host Chef: Miguel Martí. In addition, as in previous editions, we will discover at the end of dinner the Infiltrated Chef. The Infiltrated Chefs who have participed in previous editions have been Begoña Rodrigo (La Salita, Valencia), Evarits Miralles (El Bollit, Oliva-Pego), Miguel Barrera (Cal Paradís, Vall d’ Alba), Vicent Guimerá (l’ Antic Molí, Ulldecona) and Raúl Resino. Who will be this edition? We really want to discover it! You can get more information about the 6th Exclusive Dinner by calling at 629 972 594 from 9:00 am to 2:00 pm or by e-mail: reservasmiguelmarti@gmail.com. 90 years of viticulture are reflected in the quality of our wines. Red wines of quality and singular personality in which, under the Utiel-Requena Denomination of Origin, the care with our vineyards are cultivated is reflected. There are so many people who want visit out winery. This point make us feel so proud of our work, because that means that our work is well valued. 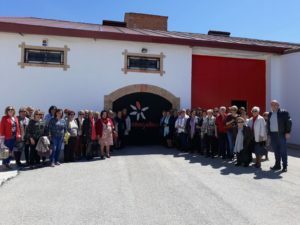 During this month of April we had the pleasure of receiving visits from de dance group Carisma from Vila-real and the local meeting of housewives Tyrius. 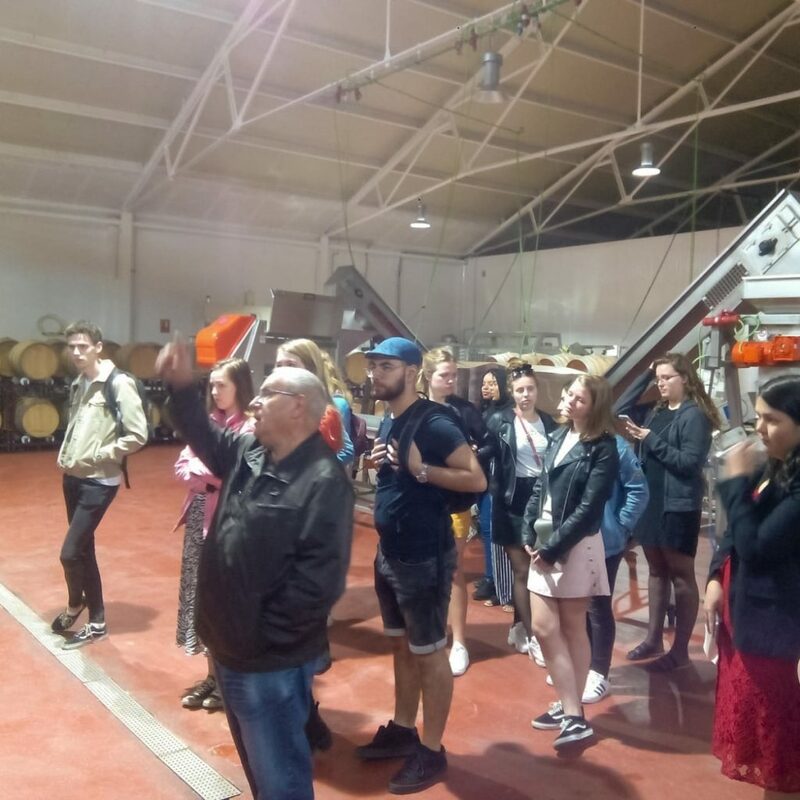 During the visit, each group could learn a little more about our wines Bobal 2014 and Pinot Noir 2018, about the cultivation of the vineyards, the harvest and the production process. If you want visit Cerro Gallina like them and discover the fascinating wine world, contact us at 676 897 251 or send us an e-mail at info@cerrogallina.com.